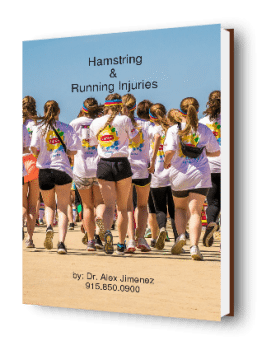 Several sports and physical activities which involve a high demand of excessive stretching or sprinting, including kicking, sliding and split positions, have been determined to increase the risk of acute hamstring injuries among athletes. Acute hamstring injuries vary greatly from one another, each consisting of different injury types, location and size. Because of this, offering the proper recommendations regarding rehabilitation and prognosis about healing time and return-to-play can be challenging. Depending on the biomechanical cause, region and severity of the soft tissue injury, it’s been previously suggested that return-to-play timescales can differ between 28-51 days following acute hamstring injuries. However, this has been an ongoing issue within the field of many healthcare professionals. When returning to the individual’s specific sport, the risk of re-injury is generally higher within the first 2 weeks. 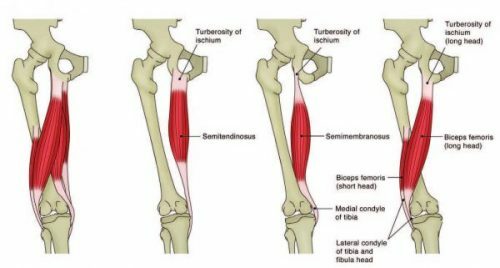 This occurs due to initial hamstring weakness, fatigue, lack of flexibility and strength imbalance between the eccentric hamstrings and the concentric quadriceps. The highest contributing factor though, is believed to be linked to an inadequate rehabilitation program, which may correspond with the premature return to physical activity. New evidence has shown the benefits of primarily utilizing eccentric strengthening exercises in hamstring rehabilitation performed with increased loads for longer musculotendinous lengths. In a randomized and controlled study on professional Swedish football players, 69 percent of injuries were primarily located in BFLH. In contrast, 21 percent of the players experienced their primary injury within SM. 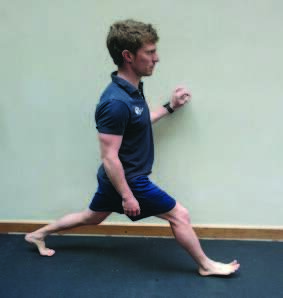 While the most common, approximately 80 percent, suffered a secondary injury to ST as well as BFLH or SM, a clear 94 percent of the primary injuries were found to be of the sprinting-type and were located in the BFLH, whereas, SM was the most common location for the stretching- type of injury, accounting for approximately 76 percent. These findings were supported in another similar article. Classifying a soft tissue injury, including acute hamstring injuries, depends largely on a grading system ranging from: I, mild; II, moderate; and III, severe. The different classifications offer useful descriptions for each type of soft tissue injuries between healthcare professionals during clinical diagnosis and prognosis following an acute injury. A mild grading describes an injury where a small quantity of muscle fibres are involved with minor swelling, discomfort, minimal or no loss of strength or restriction of movement. A moderate grading describes an injury with a significant tear of several muscle fibres, pain and swelling, reduced power and limited mobility. A severe grading describes an injury where a tear has occurred across an entire cross section of muscle, commonly a tendinous avulsion, and a surgical opinion may be required. It has also been utilized as a classification system for radiological methods, such as magnetic resonance imaging, or MRI, or ultrasound, if required for complementary confirmation of diagnosis. Determining accurate return-to-play timescales following many acute hamstring injuries has been proven to be difficult. For example, injuries involving an intramuscular tendon or aponeurosis with adjacent muscle fibres generally need shorter recovery periods than those involving a proximal free tendon and/or MTJ. There’s also been connections between MRI findings according to the region of the injury and return-to-play. Particularly, it has been hypothesized that the shorter the distance between the proximal pole of the injury and the ischial tuberosity found on MRI evaluations similarly determined by the presence of oedema, the longer the time to return will be. In the same manner, the length of oedema shows a similar effect on recovery time. The longer the length, the longer the recovery. Additionally, the position of peak pain simultaneously following acute hamstring injuries are also associated with increased recovery periods. 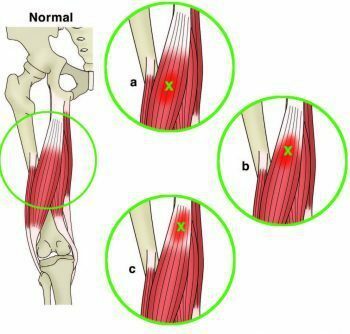 Furthermore, there have been attempts to clarify the connection between the grading of acute hamstring injuries and return-to-play. In a prospective cohort study on 207 professional football players with acute hamstring injuries, 57 percent were identified as grade I, 27 percent were identified as grade II, and only 3 percent were identified as grade III. The athletes with grade I injuries returned to play within an average of 17 days. The athletes with grade II injuries returned within 22 days and those with grade III injuries returned approximately within 73 days. According to the study, 84 percent of these injuries affected the BF, 11 percent the SM, and 5 percent the ST. However, there was no significant difference in lay-off time for injuries to the three different muscles. This has been compared to 5-23 days with grade I-II injuries, and 28-51 days for grade I-III in other studies respectively. Various researchers have previously argued the benefits of eccentric strengthening following acute hamstring injuries against concentric strengthening when focusing to reduce timeframes for return-to-play. The bottom line of this argument is that with the majority of acute hamstring injuries occurring during eccentric loading, the rehabilitation should be similar to the specific circumstance which caused the injury in the first place. One study showed a significant difference between an eccentric and concentric rehabilitation program following acute hamstring injuries in elite and non-elite football players. The randomized and controlled clinical trial conducted on 75 football players in Sweden, demonstrated that using eccentric strengthening programs rather than concentric strengthening programs, reduced the time to return-to-play by 23 days, regardless of the type of injury or the site of injury. The result showed the number of days to return to full– team training and availability for match selection. Furthermore, two rehabilitation protocols were utilized five days following the injury. All players had sustained a sprinting-type injury as a result of high speed running or a stretching-type injury as a result of high kicking, split positions and glide tackling. Certain criteria were excluded for the study, including previous acute hamstring injuries, trauma to the posterior thigh, ongoing history of low back complications and pregnancy. All players were subjected to an MRI analysis 5 days following the injury, in order to expose the severity and area of injury. A player was considered to be fit enough to return to full-team training using a test known as the active Askling H-test. A positive test is when a player experiences any insecurity or apprehension when performing the test. The test should be completed without full dorsiflexion of the ankle. Approximately 72 percent of players sustained sprinting-type injuries, while 28 percent experienced stretching-type injuries. Of these, 69 percent suffered injury to the BFLH, whereas 21 percent were located in the SM. Injuries to ST were only sustained as secondary injuries, approximately 48 percent with the BFLH and 44 percent with the SM. In addition, 94 percent of the sprinting-type injuries were located in the BFLH while the SM was the most common location for the stretching-type injury, accounting for about 76 percent of the injuries. 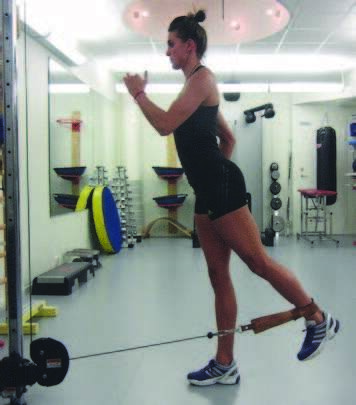 The two rehabilitation protocols used were labelled the L-protocol and the C-protocol. The L-protocol focused on loading the hamstrings during lengthening and the C-protocol consisted of exercises with no emphasis on lengthening. 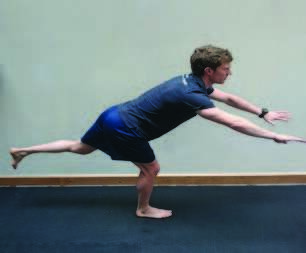 Each protocol utilized three exercises which could be performed anywhere and were not dependent of advanced equipment. They also aimed at targeting flexibility, mobilization, trunk, and pelvic and/or muscle stability as well as specific strength training to the hamstrings. All were performed in the sagittal plane with speed and load progression. The time to return was determined to be significantly shorter in the L-protocol as compared to the C-protocol, averaging 28 days and 51 days appropriately. Time to return was also significantly shorter in the L-protocol than in the C-protocol for acute hamstring injuries of both sprinting-type and stretching-type as well as for injuries of different injury classification. However, there still remains question over whether the C-protocol is specific enough for hamstring activation to create a legitimate comparison. Aside from the above mentioned rehabilitation protocols, many athletes who’ve suffered acute hamstring injuries, as well as other types of injuries, have found relief from their symptoms with a soft tissue specialist, or a chiropractor. Chiropractic care focuses on numerous musculoskeletal injuries including a variety of injuries and conditions associated with the nervous system. 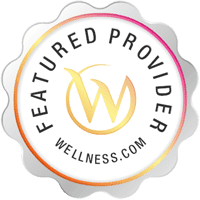 A chiropractor will use several rehabilitation techniques, most commonly spinal adjustments and manual manipulations, to carefully restore the individual’s natural mobility, flexibility and strength after experiencing an injury, helping to decrease their symptoms of pain and discomfort. Additionally, a soft tissue specialist will generally recommend a series of appropriate exercises and stretches to speed up the rehabilitation process. Chiropractic treatment not only treats existing injuries, it can also be used to prevent a variety of sports injuries, including acute hamstring injuries. Fortunately for athletes, after experiencing an injury or even if there’s no current injury, there are several effective methods which could be used to help alleviate the symptoms as well as ensure the athlete returns to their specific sport of physical activity as soon as possible without the risk of re-injury.